Through observation, little gifts of joy appear, and I have realized that inspiration and whimsy can present themselves in many forms. You just have to open your eyes to see them. The other day, JP rushed in looking for the camera, and I quickly left my work behind to catch a glimpse of his discovery. 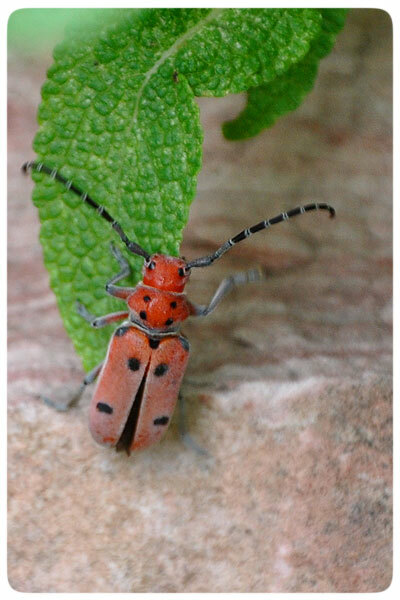 And there, clinging to the exterior of our home was the sweetest little bug! Painted in a fuzzy red coat, he was covered in an array of whimsical black dots. 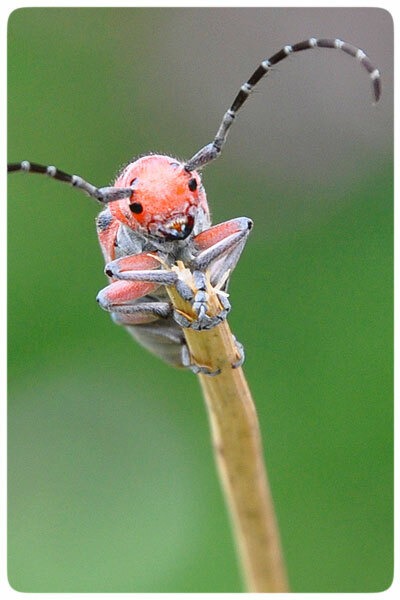 As I grabbed the camera from JP, he plucked a stick out of the yard and coaxed the little fella to climb aboard. Gingerly we carried him around, and I snapped a cluster of photos, trying to capture the character and detail of this whimsical insect. (Hopefully the neighbors are used to our odd behavior by now!) I was so truly charmed by his illustrative appearance and his fanciful feelers that it was difficult to let him go, but we lowered him into the garden and off he went on his vast outdoor journey. So, now you must be curious what this 6-legged character looked like... Take a peek below to see for yourself, and let me know if you have seen one too! 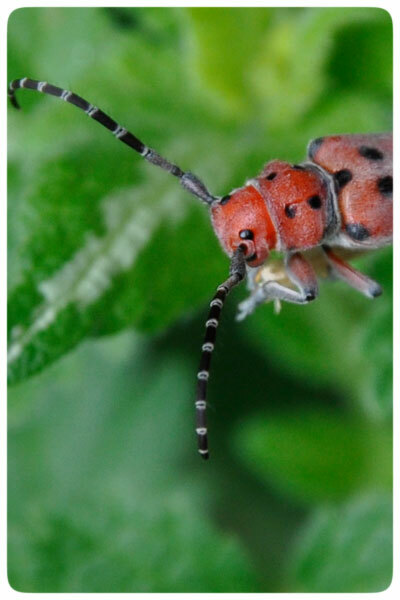 UPDATE: My friend Beverly searched and discovered that this is a Red Milkweed Beetle!